“Communication from the IRBA in March explained their desire to withdraw from being a B-BBEE regulator and it seems that this is still going ahead. These verification agencies will be allowed to apply for accreditation with SANAS and be able to continue issuing certificates once they have their SANAS accreditation. IRBA verification agencies must apply for their accreditation with SANAS as soon as possible as the process may take some time," says Lianne Levenstein, CEO of EconoBEE, a BEE advisory firm. 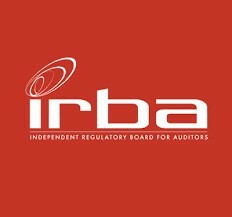 Companies who have engaged their IRBA verification agency prior to 30 September will be able to receive their BEE Certificate after 30 September, but only until 31 December 2016. A BEE verification should not take more than three months. “Our view is that most IRBA agencies will easily be able to receive accreditation by SANAS, if not then industry will be seriously short of capacity for issuing BEE certificates,” she said.